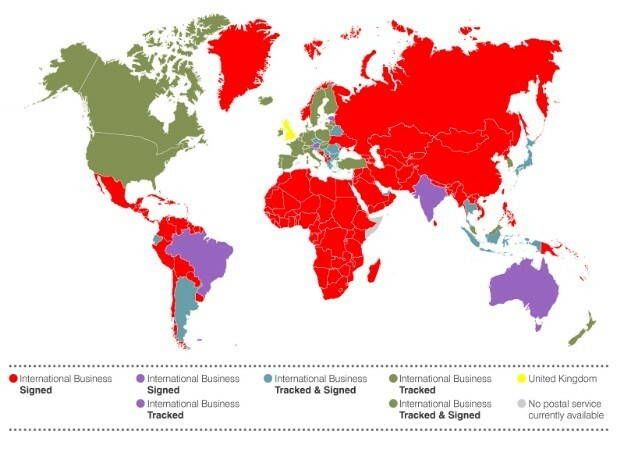 Where applicable all international orders are delivered using either Royal Mail Tracked & Signed, Royal Mail Tracked or Royal Mail Signed services. Not all products are available for shipping outside of the EU – please check the delivery information on the product page of the item you wish to purchase. Royal Mail aim to delivery to European destinations within 5-7 working days and Worldwide destinations with 7-10 working days.